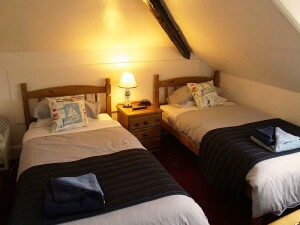 Our twin rooms (two beds) are all en-suite and feature all of the usual facilities and requirements. Price includes a Full English Breakfast. The room is warm and inviting, individually decorated to a high standard and comes with everything you need to make your stay an enjoyable one.